We rapid prototyping services for different Verticals including Automotive, Aerospace & Medical Domains. The Prototypes we make are of a superior quality and we provide different finishing options. Fused deposition modelling (FDM) is an additive manufacturing technology used for modeling, prototyping, and production applications. 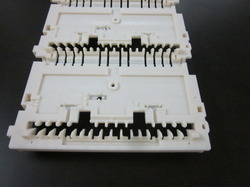 FDM works on an "additive" principle by laying down material in layers; a plastic filament or metal wire is unwound from a coil and supplies material to produce a part. You may be an Engineer, a Hobbyist, an Educator or a Professional -- our rapid prototyping services will help transcend your imagination to reality. We model your 3D design in real-time using engineering grade thermoplastics to print prototypes of your digital design to a physic object. No more being a passive buyer, you can be an active creator! Srashta Scientific Systems Pvt. Ltd.
Euclid3DLabs aim to provide the best and the most affordable fused deposition modeling service, our costing is very competetive but along with the price we also believe in providing best quality product to out client and we have some of the best FDM machines. AT Geo Informatics FDM Rapid Prototyping process constructs three-dimensional objects directly from 3D CAD data by using Fused Deposition Modeling. Easiest to use. Safe. Affordable. Techopedia explains Fused Deposition Modeling (FDM)FDMis primarily arapid prototypingtechnique that enables the quick, clean and cost efficient development ofprototypesand small functional components. It works through a CAD/CAM based design diagram, which is fed to anFDMsystem. 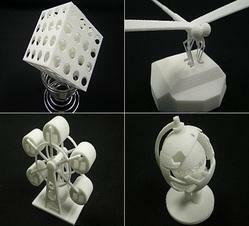 We are highly occupied in rendering Art Rapid Prototyping. These services are highly commended among customers for their consistency and economical rate. We implemented these services as per the demands and requirements of customers. In addition, offered service provides utmost satisfaction to the customers.